My sweet little rose, It is I, redeemed from among men, born to die, sinless in life, slain as the Innocent One, the only Son of the Father, resurrected to give all glory, honor, and worship to the only Creator of all things. I came and died that you would live. There is only One. There is only I AM. There are two very distinct yet parallel realities playing out right now. The first is that which is tangible. It can be seen, felt, heard, and manipulated to serve the purpose of the one who governs it. This is happening all around you now, as the forbidden knowledge shared by the Fallen has developed into a great and powerful master of this realm, this reality, and is being integrated into absolutely every area of modern day life. In the relentless quest to create, satan has since the fall and is now manipulating DNA, both in animals and in people in order to further build and reinforce his army. Only a certain number fell with him; therefore, he uses the forbidden knowledge of My Kingdom to 'create' a larger army with which he will come against the saints to overcome them. Creatures long forgotten beneath the earth are now emerging, and what will manifest in this reality as living has not My breath of life within, neither the blueprint of those made in My image, the secrets I have encoded there in your DNA. There are creatures and hybrids, some part human, part machine creations that will have supernatural abilities, making them appear to be 'divine' or from a higher being or source; but I tell you, they are nothing more than spawns of the prince of darkness himself. Their quest for immortality will stop at nothing, but their destiny is eternal darkness, as nothing will exalt itself above Me. Immortality can only be attained by knowing Me as Creator of all Life and giving obedience to My ways. Many now are already so fascinated by this new technology that coincides with the re-appearance of the Fallen, that they are being greatly deceived as to the intentions of these modern creations, which are birthed from the pit of hell. The beginning of the strong delusion that My Word speaks of is here. Many, many are falling away everyday. The manipulation of what is seen, felt, and heard screams from every angle. There is no escape, except for Me. I am the only Way, the only Truth, and the only Life that can and will be found. The great separation spoken of for so long is now finally here. 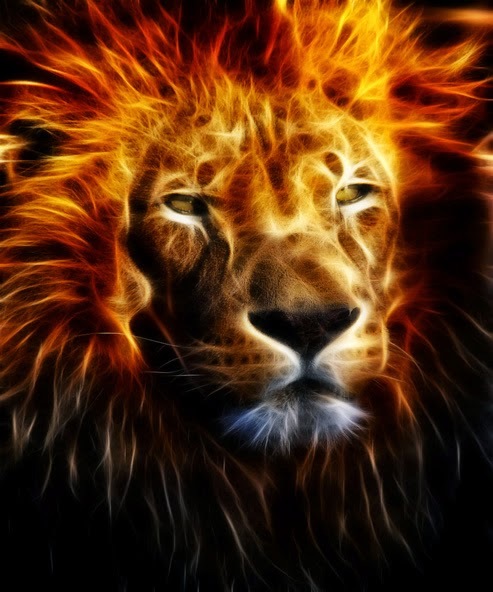 But as satan's army amasses around the world, the army of the Living God rises!! Glory! For the Holy One musters His own for battle; and while My Army has already been given the victory through My blood sacrifice, satan's army will only know a quick and final defeat. Just as his army is infused for a time with all the powers of darkness, My army is being infused as I speak this to you. Yet all the power and authority that I have been given by My Father is bestowed upon those who serve Me in total obedience. The powers of My Kingdom can and never will be defeated. The battle rages on now and becomes more intense each day. The fierceness of what is taking place in the heaven-lies is not to be underestimated or taken lightly. This is the generation that will see My return, and you will see things both demonic in nature, side by side with My manifestations, not only in My angelic realm but also through these, My people. You will see things you never thought possible and would not believe, if I didn't tell you in advance that this would happen. This is an epic battle, the greatest this world has ever known, and the choice you make in whom you serve determines your eternal outcome. The stakes are not just high-- EVERYTHING IS AT STAKE for each soul. If you have not chosen life over death, WHY??? Is that even a choice for you? Why would anyone choose eternal death? Many of My Bride are experiencing that which I spoke to you about several years ago. It is the tearing away of the governing that the soul has had over the spirit of mankind since the fall. As I draw you closer and closer to Myself, your Creator breathed DNA is responding to what I have placed within your very blood, restoring you back into harmony with Me. I am lifting you out and away from the curse, as you seek Me with all your heart. The process is oftentimes a painful one, because the soul is more comfortable and accustomed to governing you. It does not want to give back control to your spirit. Satan can only manipulate and govern that fallen aspect of man, so as you draw closer to Me and command your spirit to take back authority over your soul, which is My original design for you, there is quite a fight being experienced as mortal gives way to immortal, flesh dies to spirit, and We walk as One. Now you have much more revelation as to what is occurring, not only in the physical and the natural around you, but in your physical bodies as well. There is the battle of the spirits, light and dark all around you. Ultimately the battle of light and dark is the battle of evil and good, the battle for your very soul. This is all for now. Come to Me with this revelation and I will give you a peace, that only I can offer you about all that is taking place. 5 Behold ye among the heathen, and regard, and wonder marvelously: for I will work a work in your days which ye will not believe, though it be told you. +Please also see the books of Enoch as well as Jubilees for further information regarding the fallen and their offspring the Nephilim. MANY REFUSE TO HEAR ME.. SO BE IT.. THE END HAS COME! Are you really listening? Do you hear with your spirit what I am saying to you? The end is here. It is come, and so few have prepared. You will see now, before your very eyes that all I speak of is truth. These words will testify after this has all taken place, that I am faithful and I am true, and My Word will not return to Me void. Hearken to the words of your Creator. When all else is gone, I remain. I was talking with Yahushua, sharing my concerns with Him, even though He knows all things, about how grossly dark the world has become, and how we, as His Bride, absolutely must have an infusion from Him- His strength and His anointing to finish this race with strength. I was wondering about the linear time that we live in, and why He speaks to us about His return being very soon, even imminent, since there is no time in the Kingdom. He is outside of time, and I know that the meaning of soon, from His perspective, does not have the same meaning as our idea of soon, based on what the Word speaks to us. So, I was asking Him to help us understand from His perspective. I am so grateful for His patience, as He imparts more revelation of how we are to occupy until He comes. You are never alone. I am never early, and I am never late. I am your Hayah. I am omnipresent, the ever-existing One. I have always been, and I will always be. All of creation, anything and everything that has ever been created exists inside of Me. Outside of Me, there is nothing that is created. The veil was parted because of My sacrifice, but very soon, it will be completely lifted; and those whose lives are completely surrendered to Me, those who abide deeply within Me, they will know as I know, and their spiritual eyes will be completely opened. There is just a moment of time as you know it before I will bring back the first-fruits of My creation into harmony with Me, as the culmination of all things commences. So what I am saying, is that you who have given Me your lives, your hearts, your everything, and have accepted Me as your King and Messiah, you rule and reign already with Me in My Kingdom. You are My co-heirs, My friends, My sons and My daughters. Because this is truth, this means We are never apart- You in Me, I in you, We are One. Because We are One and never separate, regardless of what I ask of you, it matters not the external circumstances you are placed in. In the outer most parts of the universe, I am there. In the deepest depth of the earth and the sea, I am there. Out to the farthest galaxy known to man, I am there. I AM. You were fashioned and purposed for a very important reason, each of you with your own set of tasks that make up the design I have for your lives. Each and every one of My children has a purpose. You came to this earth to fulfill this purpose. My blueprint is literally in your blood, your DNA, and is a blueprint for your life and how I desire it to complete that purpose here. All of the puzzle pieces if you will coming together perfectly. A piece of clay does not question the potter, but rather submits to the molding and refining of its artist. It is no different with you, except in a moment that is coming more quickly than you would think, the revelation of My imminent return will be your reality. It is enough for you to abide in Me during the time span that you have been placed within- this time/space constraint, and simply obey and trust as My Holy Spirit leads. I am enough. When you see outside of this realm, with My eyes and not the extremely limited senses here on earth, your eyes begin to open to a reality so much greater than what you have realized during your journey here. It matters not where you have been sent to do the work of your Father, as all belongs to Me. Again, when you are in Me, We are never separate; therefore, location is not a concern. It simply is a very temporary part of your journey, but an integral one as far as your spiritual maturity is concerned. When I bring you from this life to the afterlife, you will continue to spend eternity growing into maturity with Me, as I am ever-expanding in My heart and in My love for My creation. All was created out of love, and love will never end. You will come deeper and deeper into intimacy with your Father when you leave here, no longer held by the confines of this limited existence. One of the most important reasons you are here is to take your authority in Me while here, claiming My power and decreeing My words, because as you do so, paradigms are shifting. You are sent as extensions of your Father here, to shift the frequency of this realm higher, the end result being all of creation coming back into harmony with its Creator, as I make all things new. I will strip the earth of the curse it has been under and restore it back to its original state. Your stay here is much more temporary and shorter than what you realize. Now to address your concerns, I have promised you that I will pour out in these last days, absolutely all that you will need to sustain and to rise even higher in Me, as I know how dark it has become, because I am allowing this. I have warned you thoroughly about how all that is good will be called evil, and evil good. I have warned that much of what is written in My Word will come to pass in this generation, before I come for you. It is now here, yes, but I have not left you and you are equipped with all you need. You are trained and you are walking in My power and authority.. so stand! Is there anything too hard for me? Speak boldly and proclaim that the King of kings is coming to redeem the earth from its curse, and I am bringing to Myself My people as they have obeyed and trusted Me at great costs. You have the keys of My Kingdom, I have given them to you, and you must use them. Those keys hold the answers you are seeking, and will bring you into a higher level of understanding of what is occurring, as well as open the door that is before you. I have given you keys because you must have them now for all that is happening. This is very important now My Bride. I have spoken of this open door, and how it is now time to enter in. You hold the keys to this. I await you. It is easier than you think. Do not make this complicated for yourselves. It is a matter of occupying. Come to Me and ask My Holy Spirit to reveal to you if there are areas of your lives where you are being held back. Boldly proclaiming My Word each day in your lives opens gateways and unlocks revelation as truth becomes established here, dispelling the darkness. This must be done constantly, declaring truth at all times, standing your ground, being rooted in Me and My Word, never wavering, unmovable, unshakable. This is everything. You in Me are able to wield a power this world has never seen since I walked the earth. Claim this power as this is claiming Me. I continue to tell you, that if you are not grounded in Me, you will be swept away at what is now here. The intensity of the darkness and the propelling force behind the wicked motives of the evil one will catch many off guard, and sadly, they will fall into deception. There are not only more storms of natural disasters coming, but fire, invasion and civil unrest, disease, drought and famine. It is coming so quickly now My loves. Be not afraid, for I have made a way for you, and you will not be caught in the snares. Keep your eyes heavenward. I am coming, and yes, sooner than you would believe! I love you with an everlasting love! 17 For, behold, I create new heavens and a new earth: and the former shall not be remembered, nor come into mind. In the early morning hours of October 13, 2018, I was given a grave warning for the United States, once again. My family and I had arrived on a secluded property, preparing for what we knew was going to be a large-scale disaster of some sort. I entered the main cabin before my family did, only to find the place inhabited by demons. They made it very clear to me that they wanted our family dead, and they were targeting me first. As I was rebuking them, suddenly and out of nowhere, a tempest arose outside. It was as if I was instantly in the most powerful tornado there is, and in the blink of an eye, horrendous winds were howling like a freight train, the roar was deafening. Trees and debris were instantly flying through the air and piercing the cabin I was standing in, and I could hear the glass of the windows shattering and blowing out. Pieces of debris were penetrating the roof and the walls, and I didn't have any time to even process what was happening because of the speed and intensity of it. I prayed quickly that the rest of my family were safely inside another building on the property, as I felt how evil and dark it had suddenly become all around me. At the same time I heard the words, "Smash them!!" So with a sweep of my arm, I reached out and drew my arm across the demons like a sword, and they shattered into a thousand pieces and disappeared. I was also yelling as loud as I could Psalm 91, almost screaming the scripture over the roar of the tempest. Immediately, all went still. Then, I saw in front of my eyes in writing, at the same time as I heard in my spirit- ISAIAH 13.. ISAIAH 13.. ISAIAH 13.. I rushed to a table where my bible was laying and opened it to Isaiah 13, and it read, " The burden of Babylon." If you are familiar with Isaiah 13, you know it speaks of the destruction of Babylon, which is symbolically the United States. As with anything I am given from the Lord, I go to Him and ask what He wishes to reveal to me personally and to His people. Many people still do not believe that any of what is spoken of in that scripture is remotely close to coming to pass, but sadly, these are those who will suffer greatly in their ignorance because these things are now here. Daughter, the scripture speaks for itself. To those who have ears to hear what I have been saying and warning for some time now. Judgment is no longer at the door. It is here, it is come, and what has been set in motion will not be stopped. This is the beginning of the end. This once beautiful nation of America will fall, and her fall will be great. For I tell you, I will bring her to her knees in only an hour. I will make a spectacle and an example of her for her fornication and her idolatry. She has polluted all that I so freely gave to her, and she will pay a heavy price. The darkness grows even greater just as I said it would, but My Bride knows she is protected and is being called upon to operate in an authority now much more forcefully. The sudden-lies are here, and you must not ever hesitate in using your sword of the spirit, My holy Word against all the evil which hates you and now surrounds you, only desiring your death. I have taught you all you need to know. You walk in My power and authority and you are required to wield this boldly. Many things will happen so very quickly now, and as I have spoken before, it will be too late then to think about your response. When you are fully surrendered and My Word is written on your hearts, you will instantly respond with My words which carry the power of life over death, and this you will speak everywhere I send you. With My presence in and through you, darkness must flee. Just as with a woman in travail, ready to give birth, so will these judgments follow- one after another, closer and closer together, and with more intensity. Did I not tell you this was to be so? Much is now here. You have seen this already. Storms of even greater magnitude will follow those you have already witnessed. There will be fire from above, famine will increase in the lands and disease will follow. Your enemies will invade when you least expect it, taking advantage of your weakness. You will see much. Focus intensely on Me and nothing else, for all else is passing away. Tomorrow will not be the same as yesterday or today. It comes so quickly now My loves. Be ready.. Keep close to My heart and all will be well with you. I will use you mightily amidst the storm that is here. Rejoice for your King is coming!!! 1The burden of Babylon, which Isaiah the son of Amoz did see. 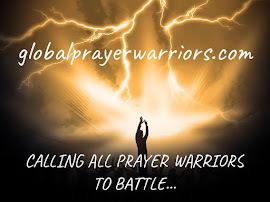 OUR GLOBAL PRAYER WARRIORS SITE IS ACCEPTING REQUESTS AGAIN! To all those who are subscribers to our Global Prayer site, thank you for your patience as we encountered a technical issue with our prayer site this last week. It seems the plug-in became outdated and we needed to purchase a new one that was compatible with the current version of Wordpress. Everything is working now in order for you to send in your prayer requests, although you will see that the format is slightly different. Please go to the Prayers Tab on the top bar and click on it as you did previously, and you will find a box that says "share your prayer request." Follow the instructions and submit as you have done in the past. This updated version of the prayer engine requests a phone number, however, just simply skip this step as it is not required at all. Our team will approve your request and post it publicly as quickly as possible. For those who sent in your requests to the e-mail address we provided last week, we have copied those requests over and you will see them posted publicly already for others to pray. Unfortunately, we were unable to copy over any previous prayer requests that have come in over the last several months, so please, if you would like continued prayer for these things, simply send in another request. Thank you for your patience and understanding. Thank you to all those who have prayed for this situation and for it to be resolved quickly, as we know how powerful our prayers are. It seems our adversary knows this as well, so continued prayers for our sites and our youtube channel and ongoing work to move all sites to more secure locations are greatly appreciated. Our love and prayers go out to all of you who support and encourage us in this ministry. A creator creates so that an extension of himself is poured into that which he is creating. This unique characteristic came forth into the world by Me, the only Creator of all things. I am eternal, I am limitless, I am ever-expanding, and My desire from the beginning of creating you was that you would be an extension of Me, the mirror image of He who created you, the reflection of your Father. In this way, My love for all My creation would always be shared, and all those who wanted Me and wanted truth, purity, and relationship would have this eternally in Me. When I created the angels, Lucifer did not choose light, love, and obedience to Me; therefore, he was sent here to have dominion over this realm. In order for Me to have relationship with you, My creation, there had to be a choice made- a choice between light and dark in the presence of Lucifer's realm, good and evil, as I gave My creation free will to love Me. This is why you came here to this realm, to be presented with the opportunity to choose Me, rather than to be forced to choose Me. For how could one know what you are choosing, if there is nothing to compare? There must be a contrast in order for you to understand what it is that you are being asked to choose. If you have never tasted anything sweet, how would you know what bitter is, if this was given to you? If there is not a contrast, an opposing choice, when a decision is being made, there is no basis to make that decision from, because not all the information is present. You were sent here to be presented with many variables in this life, some very positive, many are not. Everything that is presented to you is to provide you with the opportunities you require in order to make a free will choice. I have made Myself known through My Word and you have been given instructions, guidelines, and My wise counsel in order that your choices reflect the relationship with Me that I desire you to have, and that has been innately placed within you. I wish this choice for all My creation. When you learn that it is all about the heart motive, and that your responses are what determines the outcome in every circumstance I present over time, you mature in that intimacy with Me, and you are then given further knowledge and wisdom. You then come to realize that your purpose here has nothing to do with you personally, but rather your responses to all I allow in this life and your choice to reflect Me and not operate from your own senses. In this way, your spirit governs your soul nature and we are in harmony on this earth. As co-heirs and sons and daughters of My Kingdom, you are never separate from Me, unless YOU choose to be. I never leave you. You walk away from Me at different points along the journey. Your role as heirs to My Kingdom is to tether Heaven and earth, to anchor My love and light amidst the darkness that this realm exists under. There is an appointed time for mankind to dwell on the earth to fulfill My design, and you have now come to the end of that time frame. My Word will be fulfilled, as Heaven comes to earth once again, merging Creator with His created, and darkness will be vanquished in this place. My glory will once again reign here as well, as I bring about a new Heaven and a new earth, fulfilling all things. Your position is of great importance and value as you have been placed here at this time in your history to usher in My reign here, and you were chosen from before the foundation to do so. There are many layers to My Word. You will do these things and so much more! All of creation has been anxiously awaiting this appointed time, and I have spent many years now- preparing you, warning you of this time you are in, and training you for your end-time roles. Some of you have awakened, many still have not. But I am a God of order, and I do not change; therefore, My appointed time has come, and those who have not awakened to the truth of their existence will be presented with tribulation like there has never been before, in order that they too may spend eternity with Me and not be lost. Remember, there is always a choice. My gift is free. My heart belongs to you if you desire Me, and I reward those who accept Me wholeheartedly and understand and follow the requirements of My Kingdom. LET THE HEARER HEAR WHAT MY SPIRIT IS SAYING! There is a remnant who have opened their spiritual eyes and prepared and are keeping their oil lamps full. They will demonstrate Me and My glory and be used mightily to lead the foolish virgins who have not kept their lamps full. I have My select ones, those who have readied themselves and will assist Me in this late hour before My Second Coming. These are they who will be translated, taken unto Me as My Bride into the wedding chamber, and who will not be touched by the evil one and the great tribulation which will come upon the world. My light will radiate within them to the fullest extent, as I pour out My full measure upon them, bringing their very DNA back into harmony with Me, the Creator. This first-fruits remnant, My Bride, will exchange mortal for immortal, and corruptible for incorruptible, as I transform them into My image. The limitations of this existence will be shed as the very essence of all that I AM will be grafted into the very fiber of their beings, this making up that spotless and unblemished garment of a life fully surrendered. These will then go forth without hesitation to assist in any way I ordain, being impervious to the elements and the common needs of a carnal life. Some will remain to assist here during the Great Tribulation, others will remain with Me in My Kingdom for this period, all will participate in saving the lost. Everything I am speaking to you is revealed in My Word and all it contains. This is why I have emphasized the need to know My Word, because if you don't know My Word, you cannot claim to know Me, as I am My Word, and My Holy Spirit teaches you and reveals to you all that I am speaking of here. I am always available to all who ask of Me and to desire to know Me- Always! The mysteries of the Kingdom of Heaven are being revealed like never before. Partake of My outpouring and of My great love for you My people, for everything I do, I do out of LOVE. 7 Let us be glad and rejoice, and give honor to him: for the marriage of the Lamb is come, and his wife hath made herself ready. We are experiencing technical difficulties with our Global Prayer Warriors Site and are working to update this as quickly as possible. We are not able to receive prayer requests at this time on the site, but if you have a request you would like to submit, please send it to globalprayerwarriors@protonmail.com and we will post your request on the prayer site when we have corrected the issues. Thank you for your patience and understanding. YOM KIPPUR (DAY OF ATONEMENT) VISION & MESSAGE- YOU HAVE NOT SEEN ANYTHING, YET! I woke to Yahushua reminding me of this scripture. This is the day I have made for you, I want you to rejoice and be glad. Smile little one, as you have My heart and I have yours. He asked me to come walk with Him, that He wanted to talk to me and show me some things for further understanding. He took my hand, and as He moved to my right side, He began speaking as we walked. Then He stopped and pointed and told me to look. We were now looking at the earth. At first, I saw the world as He had originally created it, with such majesty and beauty, a true wonder to behold, a unique and perfect reflection of the one and only True Creator of all. The world in its original state was breathtakingly beautiful. Then He said watch now, and I watched as evil entered and man had the free will to choose a relationship with his Creator, or to ignore that free gift. This choice changed everything. I saw a dark shadow that soon covered the entire earth, as the influence of evil was accepted and embraced by man and pride entered in. I saw the results of man's choice- not to accept the free gift of salvation, and the corruption that overtook the world. The darkness grew and grew, and nothing could stop it. Adonai Elohim Father then spoke. I sent My beloved Son as My gift to My creation, to redeem them from the curse of sin and free them from the grips of the evil one, but so very few have accepted My offer. I then saw Yahushua giving up His life for us on the Cross of Calvary, freely and full of love, so that not one would perish as this is the heart of our Father. His blood poured out, our Atonement for all flesh, so that we might be saved. Redemption by the Messiah had come to the world and the world knew Him not. The way has been made daughter, but few find this narrow way, although once chosen, it is well lit by Me. He motioned for me to look again, and now I saw people suffering everywhere- sickness and death, pain and despair. The earth suffered as well, as all of creation was not in harmony with its Creator anymore. Then Yahushua began to explain why, even in the suffering, the door is always open to Him, and that it is within His design to use the suffering and the judgments that have now begun, to draw souls to Him. He read my heart and how sad it is for me, for all of us, to see the devastation, the destruction, and the loss. He too is saddened for what must be, but He reminded me that His design is perfect, and this has been His plan from the beginning of the foundation of the earth. I understand all that saddens you concerning this storm of judgment (Hurricane Florence), but there are many layers to what I am doing and what I am about. For those who walk with Me, I reveal an understanding that only those who choose to know (be intimate) with Me can grasp. Out of My great mercy and My great love for My creation, I will bring recompense where it is due, and then I will restore. You will hear again from man as with all tragedies that occur, " We will rebuild..We will restore. " But I tell you this, the idols of man will only be torn down, and not restored, as there is only restoration now to be done, and this is the restoring of My Holy Kingdom upon the earth. I tear down in order to raise up again, but I will raise unto Myself, a tabernacle of men, of Kingdom men and women who rise from the ashes and anchor My love and light here in this place. I will place My sanctuary, the sanctuary of My Heart into the hearts of My creation through all I allow, in great mercy and love, as I know that this is the only way to turn cold hearts back to Me, and for mankind to know once and for all, that there is only one Creator and I AM HE. I will make Myself known through the judgments, even as I comfort all who mourn. I do not take away without giving, and My gift is eternal. I must strip to open eyes to My spirit, for the complacency that has taken over the world has lulled most to sleep, and they are being drawn deeper and deeper into a numbing reality that does not even exist. I must shake to awaken, and although in its appearance, may appear harsh, this is the only way, My design, for more to be saved. Watch and you will see the outpouring of My Spirit as a result of the tearing down of all that man has exalted above Me. It was the same way in the past- as it is written, so shall it be again. For those who call themselves Mine, walking in intimacy with Me, I will honor My Word in that you have the peace that only I provide through the darkness. You will maintain the joy and gladness of heart, because you too understand the need to shake the lost out of their slumber, lest they be lost forever. Your prayers will mitigate the suffering, and every word you utter is heard. These last few events/judgments are only the beginning My child. You have not seen anything yet.. All that can be shaken, will be shaken; it is written, it will be done. Do not focus on the events. Look to Me, or you will not be able to retain the peace and steadfastness I will provide. I will keep your feet securely anchored, and in Me. You will remain unshakable, although all around you crumbles. You will not be moved. I will remain at your right hand, counseling you and directing your every thought and step. Extreme focus is the command I give to you. I must come first in all things. For My faithful ones, I come quickly, My reward is with Me, and I will give every man according as his work shall be. Remember, as the darkness descends, My light in you shall radiate. A great and joyful noise will resound in the heavens, as My glory fills the earth. Watch and see what the Great I AM is doing in the earth! It is only dark for the lost, but this is why you came My precious jewels. They will know Me through My anointed and set-apart ones, and there will be no doubt of My great love for My creation. Fire and hail and floods and drought, storms of great magnitude and earthquakes like never before will only bring about the fulfillment of My Word, so wash your garments again and be clean on this, My Day of Atonement, and be made righteous by the blood of the Lamb and His sacrifice. These things I have spoken to you, that My joy might remain in you, and that your joy might be full! The vision and message then ended. 3 And ye shall tread down the wicked; for they shall be ashes under the soles of your feet in the day that I shall do this, saith the Lord of hosts. 24 And it shall come to pass, that before they call, I will answer; and while they are yet speaking, I will hear. You will not see many more words now about the judgments that I have spoken of that I said were coming. I have warned for many years.. I have counseled.. I have poured out My heart so that lives would be changed.. hearts once hardened would be softened and filled with My love, and more would be saved. There is a season for all things, and it is now the season of judgment. It is the season that all that has been foretold will come to pass. It is the season where I will make Myself known in the lands, as I have spoken it, I AM THE STORM. It is not My wish that any should perish before their time, before the opportunity to choose life and not death, but I must do what I must do. My Word will not return to Me void. I have created light and I have created darkness, and I will allow what I will allow. For those who have continued to mock and scoff at My warnings through My messengers, those that survive My judgments may continue to mock, but truth will be revealed and this earth and all her inhabitants will know that a power greater than they exist. I have waited long enough, and I will now act. Your tribulations have begun United States, and not only for you but also for the world. The trumpets sound and the cries of My people have been heard. My Bride, I have told you that you will see much before I come for you. Much sorrow and lamenting are upon you imminently, but you shall not be shaken and you shall not fear. You are surrounded on all sides by My angels and nothing by any means shall harm you. Rest in the peace that only I offer, you who abide in the midst of LOVE itself. A great anointing will be poured out over those who have heard My pleas and have prepared their spiritual houses. You will be cared for, as well as those who you help. I will glorify Myself through you My loves, never doubt this. For the world, it is a time of great sorrow, but for you, I wish to see you rejoice as the midnight hour is upon you, and in the blink of an eye, your purposes will be fulfilled. Watch, pray like never before for the fulfillment of all things to My glory; and look to Me, He who loved you from before the foundation of time and walks with you through the storms. You are greatly loved, always remember this. 9 The Lord is not slack concerning his promise, as some men count slackness; but is long suffering to us-ward, not willing that any should perish, but that all should come to repentance. 3 The Lord hath appeared of old unto me, saying, Yea, I have loved thee with an everlasting love: therefore with loving kindness have I drawn thee. It is I, King of all that exists, Master and Lord, Divinity that came into flesh, Messiah to all who trust and believe. There is no other besides Me. You are on the cusp of a new dawn, before an open door that very few will enter into at the end of this age of man, when I take to Myself My first-fruits, the manifested sons and daughters of the Most High. There is a cost to walking the narrow way, and most have not chosen My way in its fullness. I have taught and counseled, warned and implored My church, even those who consider themselves to be My remnant church, My Bride to open their eyes to truth. So many though continue to give their affections and attentions elsewhere. I am jealous for My church, but many do not desire Me as I desire her. The patterns for what I am speaking are found throughout My Word for those who seek to know truth. As the end tells of the beginning, I am dividing, yet again, a first-fruit within the larger group known as My remnant. I am dividing those who call Me Messiah, but whose fruits do not reflect this, with those who have laid their entire lives down on My altar as living sacrifices, those who are My crown jewels, those who desire Me and only Me. These are those who have forsaken all else, those who care not for things of this world. These are those with their oil lamps full, ready and waiting for their Groom, those whom I will marry. This is the first remnant I will transform into My image, to assist Me in power and mighty authority as the world plunges into tribulation. This is also My remnant Bride who will come with Me at the close of the tribulation to declare My victory won. The remainder of the remnant church who require further refining will undergo persecution and great tribulation in order to be called My wedding guests. Seek My truth in My Word and you shall find it. Can you even hear what My Spirit is speaking to you as the midnight hour strikes? Not all who call Me Lord will enter into the wedding chamber. Those not walking in complete obedience, truth, and holiness will remain to endure great turmoil such as the world has never seen. The comfortably numb positions this larger group has embraced will suddenly become a grave and stark reality check as they realize they did not take My warnings and instructions seriously enough. Too many believe they will escape tribulation and go about their lives, living the way they feel like living, not seeing a problem with it. This is not of Me! Deception runs deep in My church and only you are accountable for your journey with Me. I desire only purity and will not take as My Bride anything but that purity. Darkness and light cannot dwell together, therefore ANY FORM of darkness, however slight, when willfully accepted in one's life, will not be accepted to be My holy Bride. Events unfold now with terrible speed, and for those still dabbling in the things of the world but professing Me, the outcome will be bitter, but I will never forsake you if you continue to seek Me. After I translate My pure Bride, they will be a great comfort to the remnant left, for a time, as you will witness My glory radiating from them and truth will manifest before your eyes. There is still a moment to choose to repent, but I tell you, this opportunity will end suddenly and abruptly..
For My jewels, your feet will tread on the paths of the ancients and walk on My streets of gold. My Comforter is always within to assist you and guide you. Your steps are not taken alone and your labor has not been in vain. As Heaven and earth collide, you will fly like doves and join Me, your Espoused, in all of My glory. Cast your cares on Me and be anxious for nothing. The earth will soon dissolve like snow and the mountains will melt with fervent heat at the great and terrible day of the Lord. You have nothing to fear as you remain immersed in My fountain of blood and water and dwell in the safety of My mercy and grace. I have spoken of the sudden-lies being upon you. My first-fruits, in the blink of an eye, you will find yourselves face to face with Me! Rejoice in that your King comes! Great manifestations of My glory are upon you! 16 And the Lord their God shall save them in that day as the flock of his people: for they shall be as the stones of a crown, lifted up as an ensign upon his land. 13 The king's daughter is all glorious within: her clothing is of wrought gold. 32 Can a maid forget her ornaments, or a bride her attire? yet my people have forgotten me days without number. 15 And Jesus said unto them, Can the children of the bride chamber mourn, as long as the bridegroom is with them? but the days will come, when the bridegroom shall be taken from them, and then shall they fast.